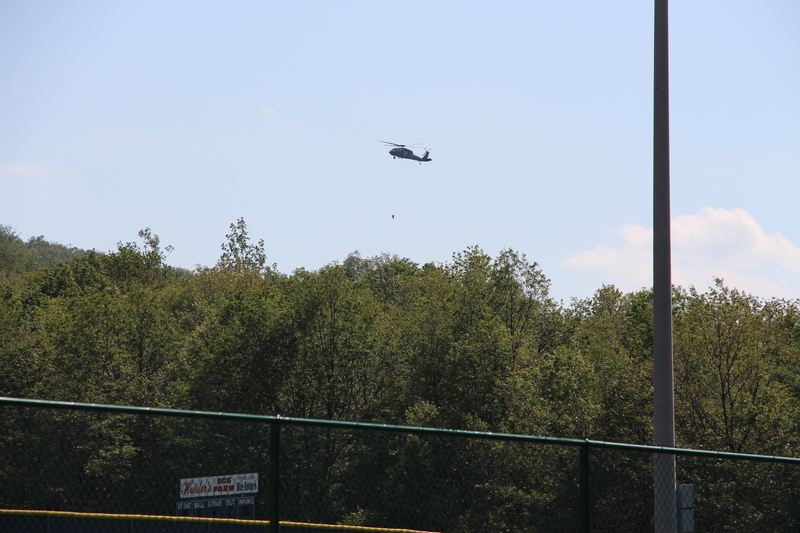 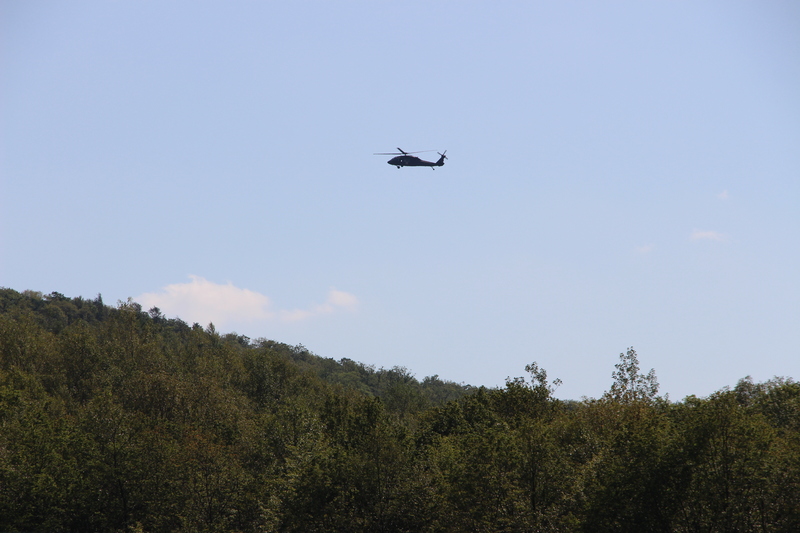 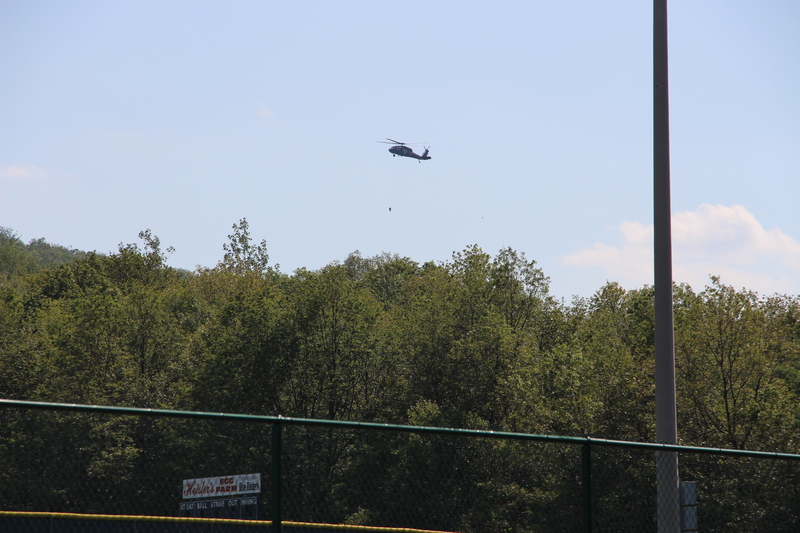 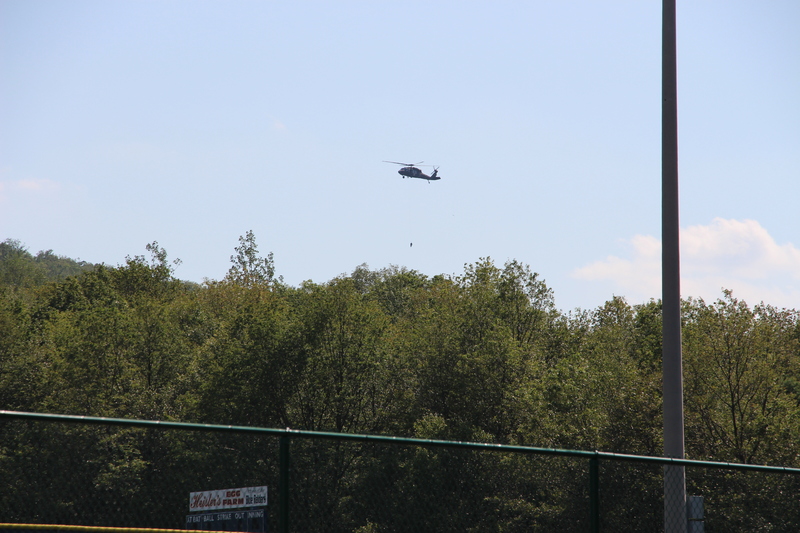 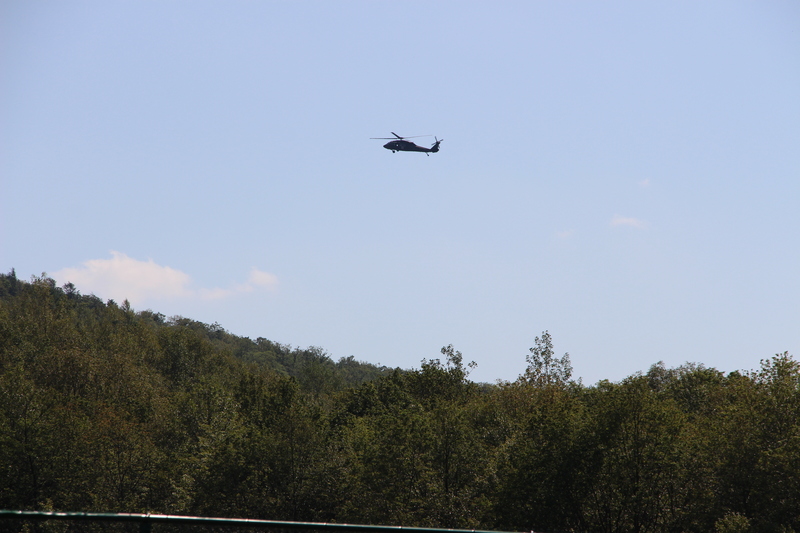 An Army National Guard helicopter from Indiantown Gap was used today (Friday, August 14, 2015) to search a southwest mountain (Sharp Mountain) of Tamaqua for a man who has been missing since Tuesday. 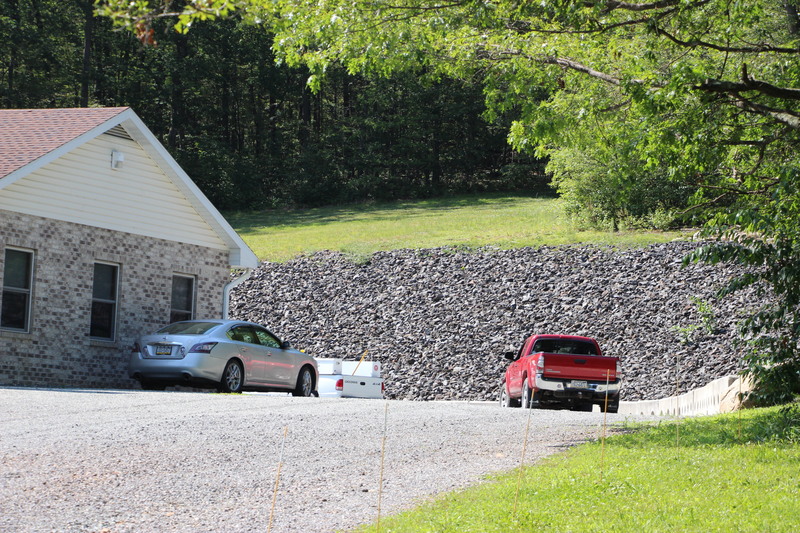 Family members last communicated with 29-year-old Jesse “Rex” Farber around 8:45 PM on Tuesday after a frantic cell phone call from him asking for help. 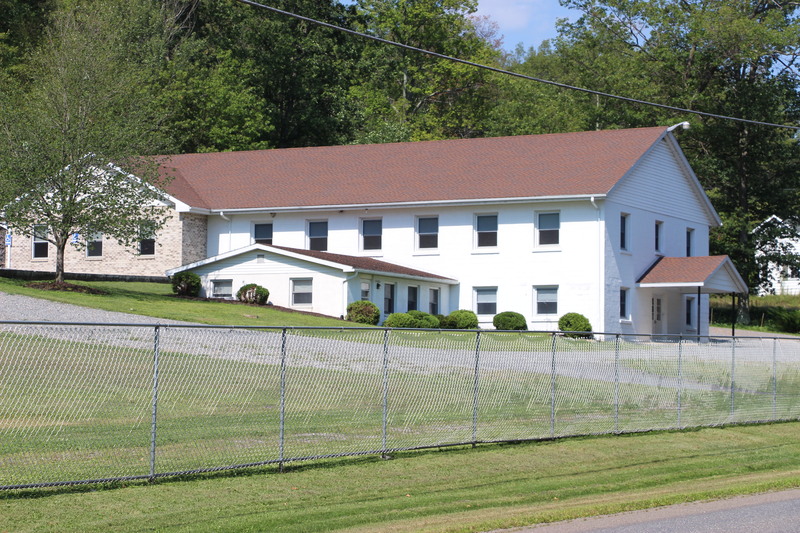 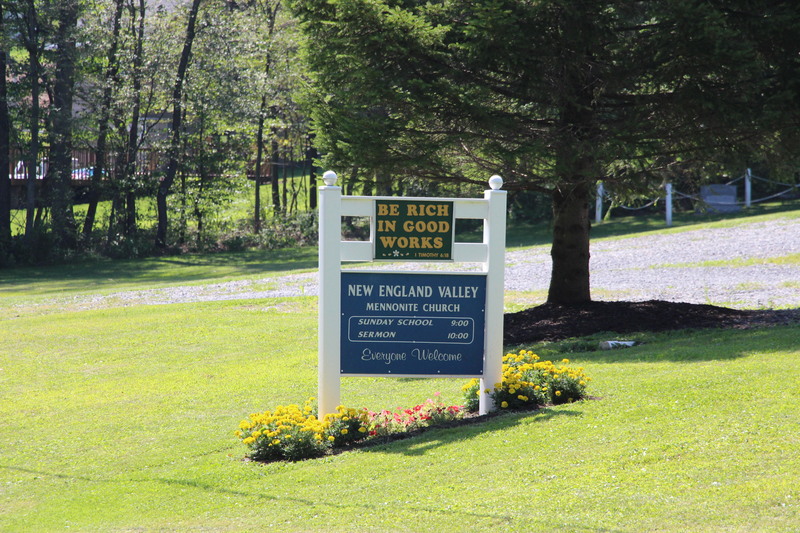 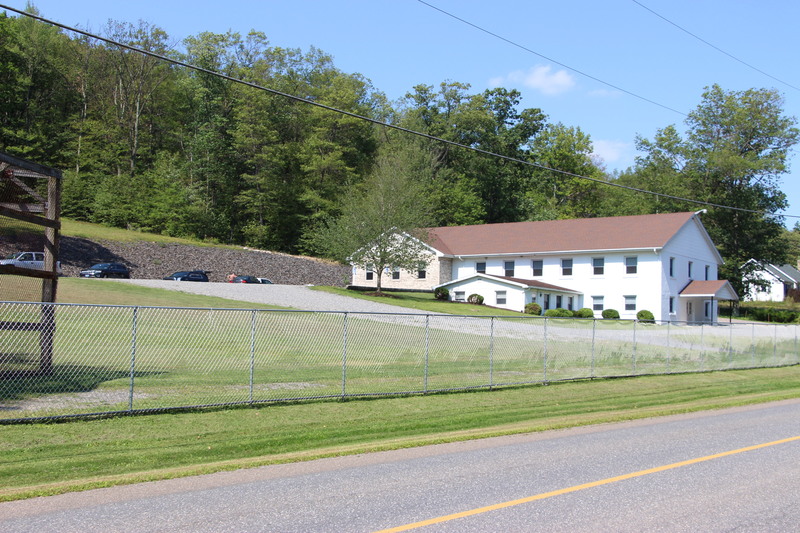 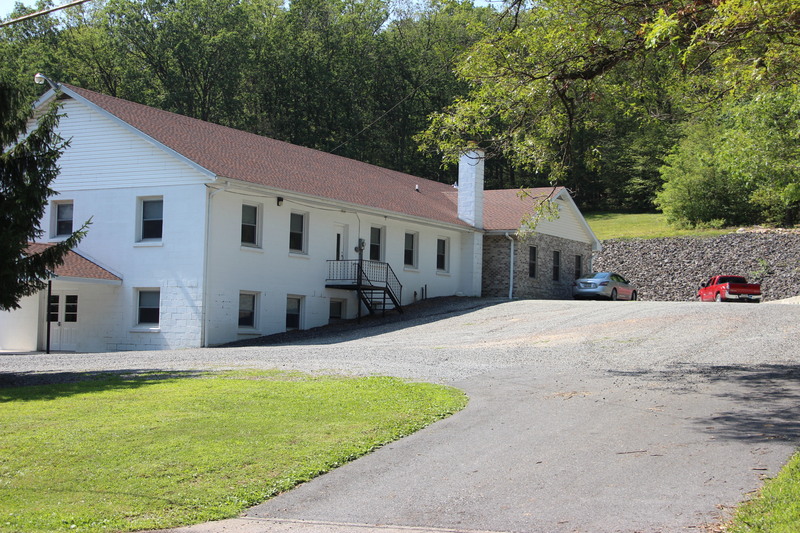 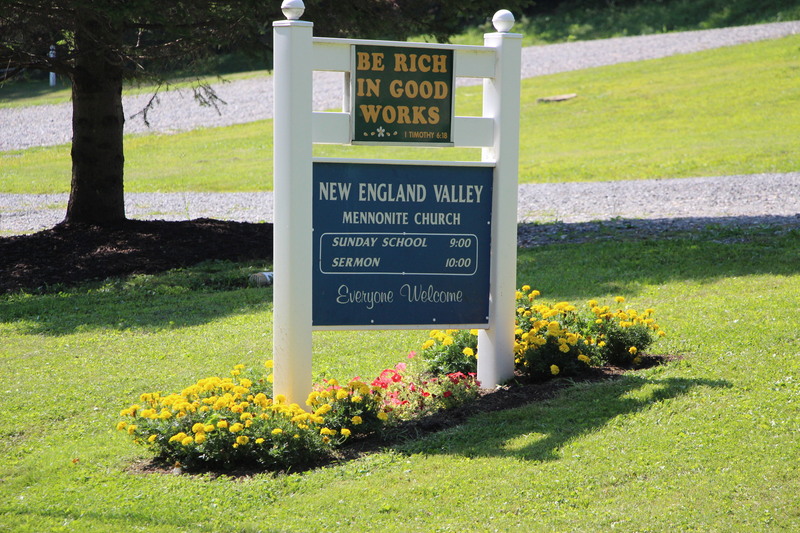 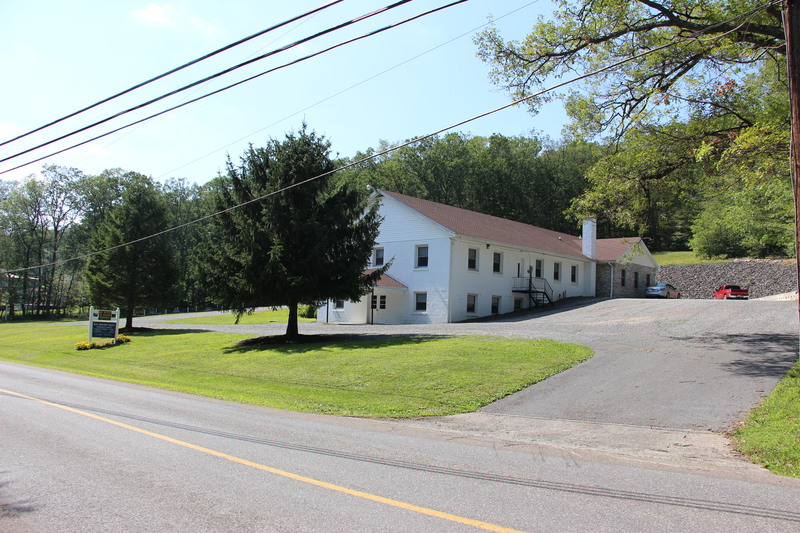 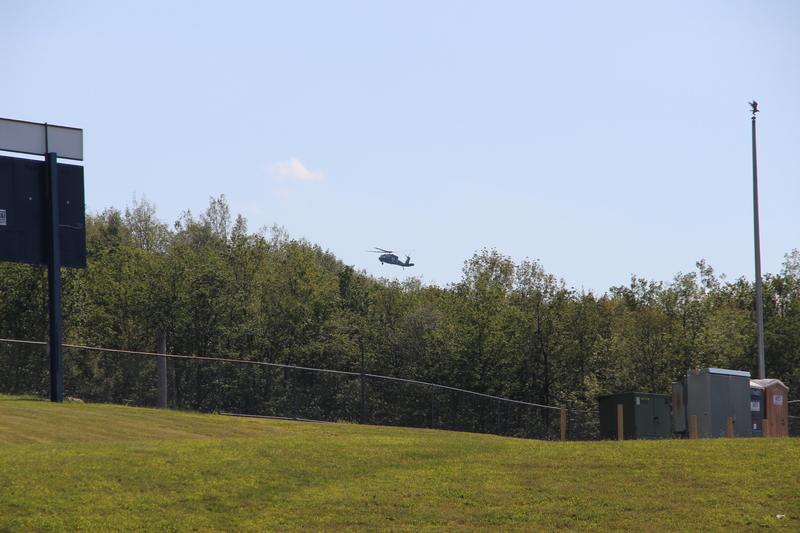 Prior to the helicopter’s arrival (around 2:30 PM), landing zones and staging areas were setup by firefighters at the Rabbit Run Reservoir ball field and possibly in the area of the New England Valley Mennonite Church along Valley Road in Walker Township. 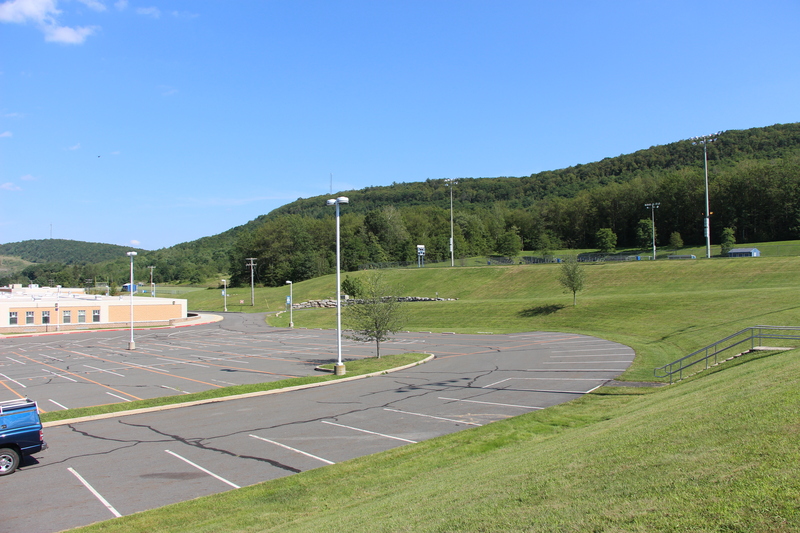 This was in addition to the original staging area located adjacent to the sports field behind the Tamaqua high school. 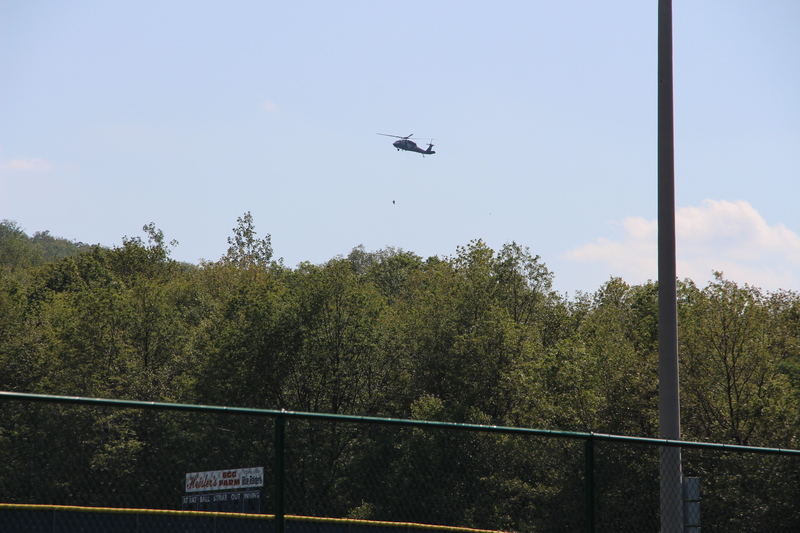 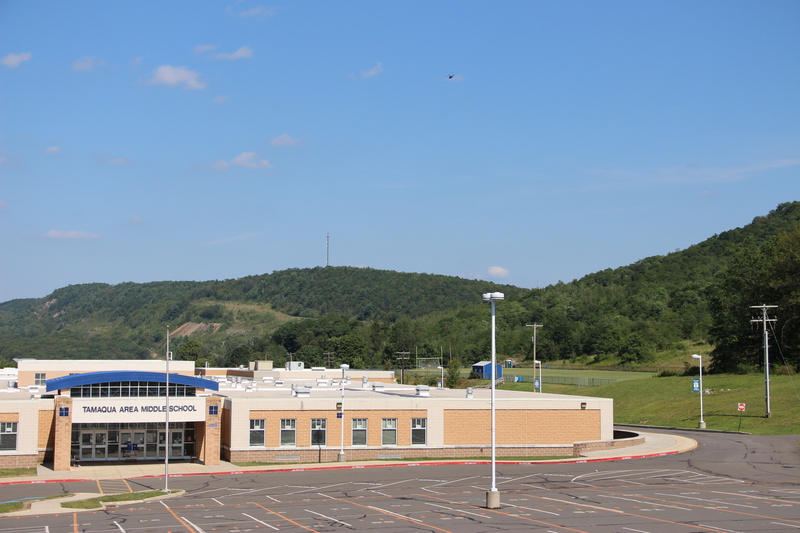 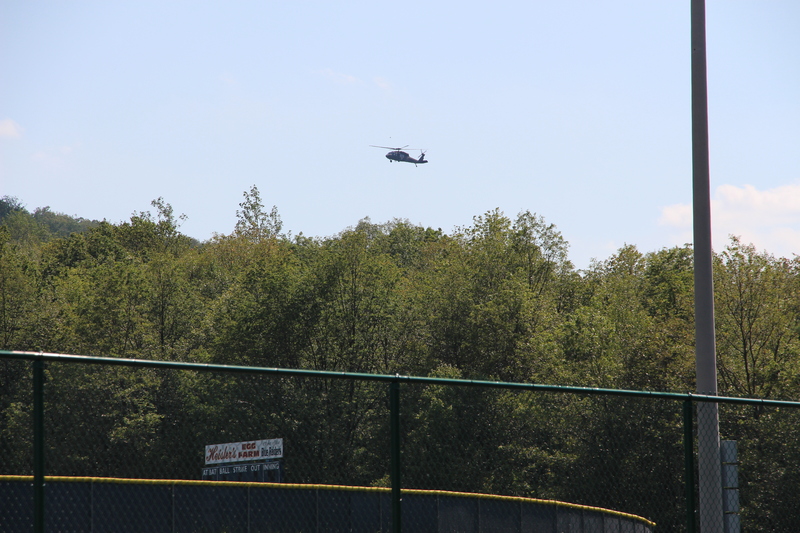 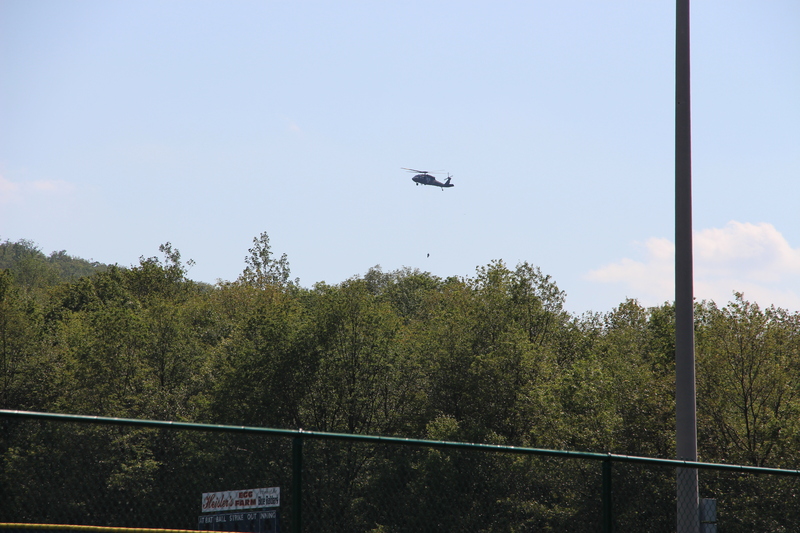 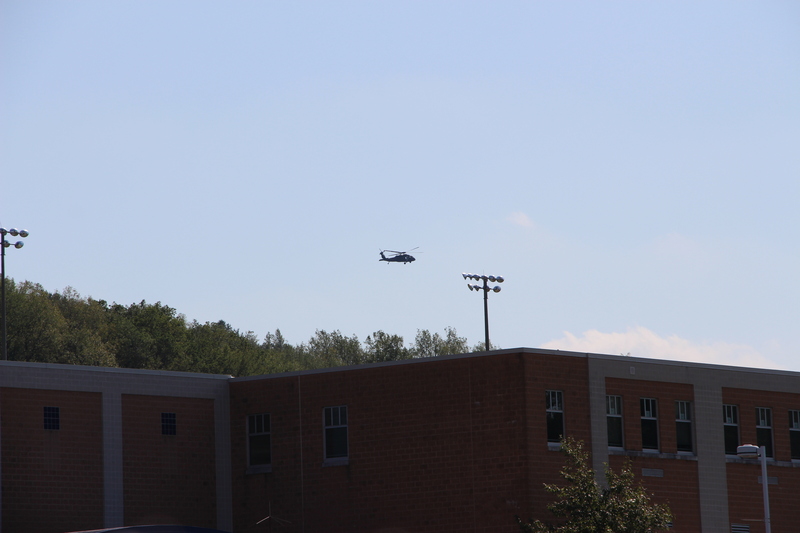 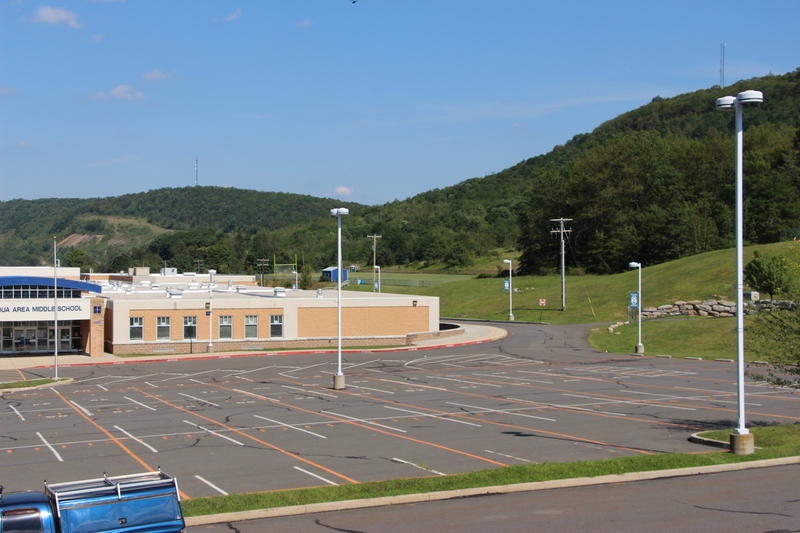 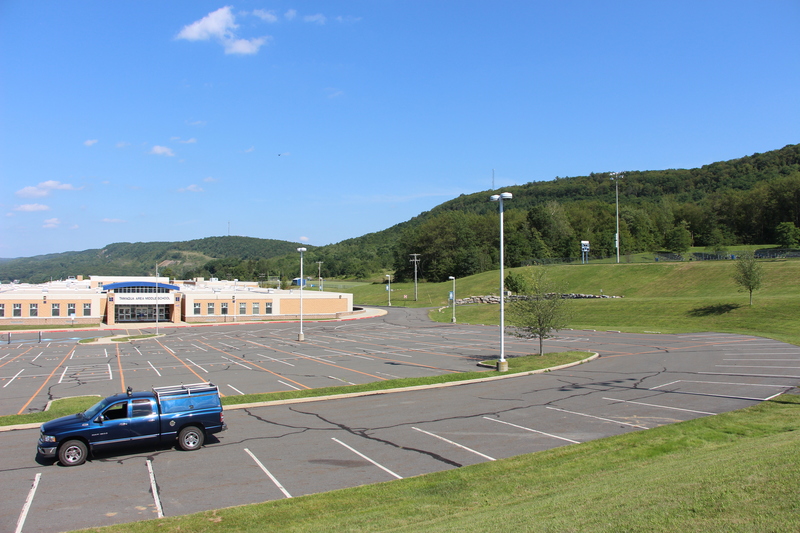 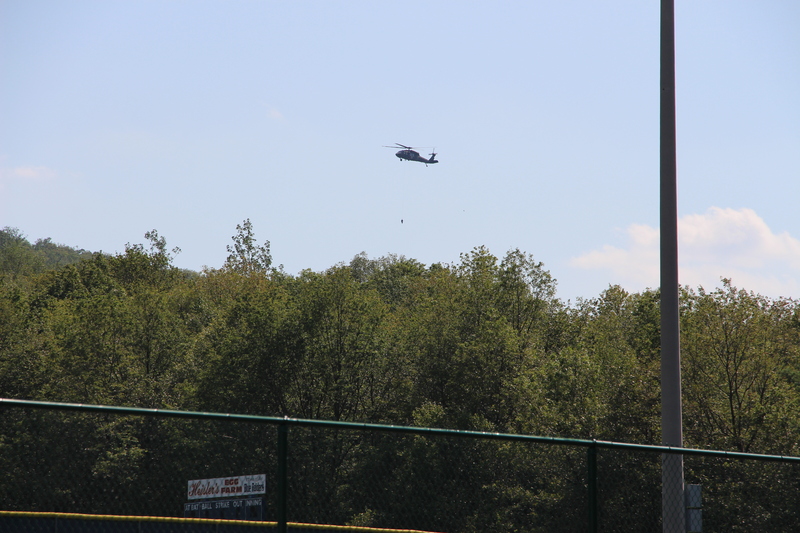 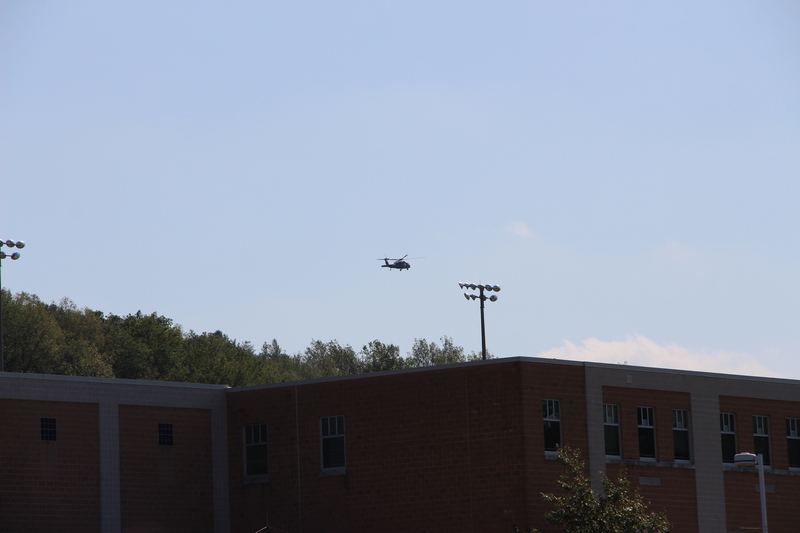 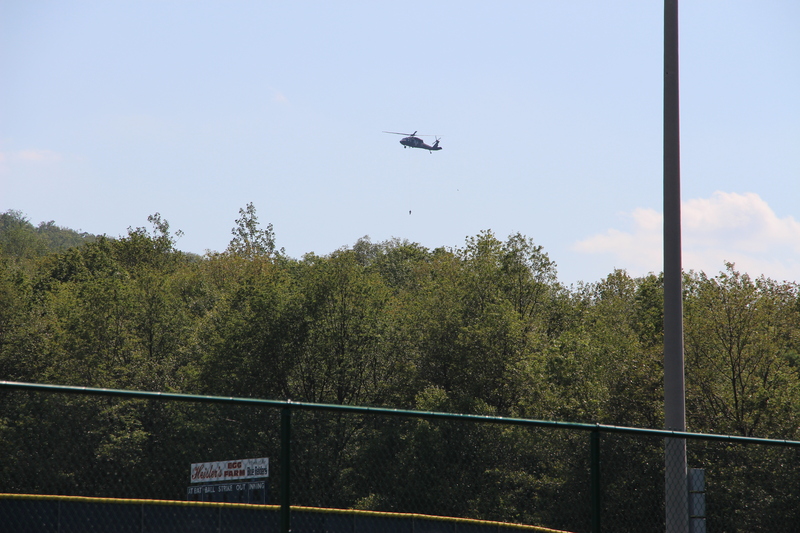 Around 3:45 PM, TamaquaArea.com could see the military helicopter hovering over a wooded area located about a quarter-mile southwest of the Tamaqua Middle School parking lot. 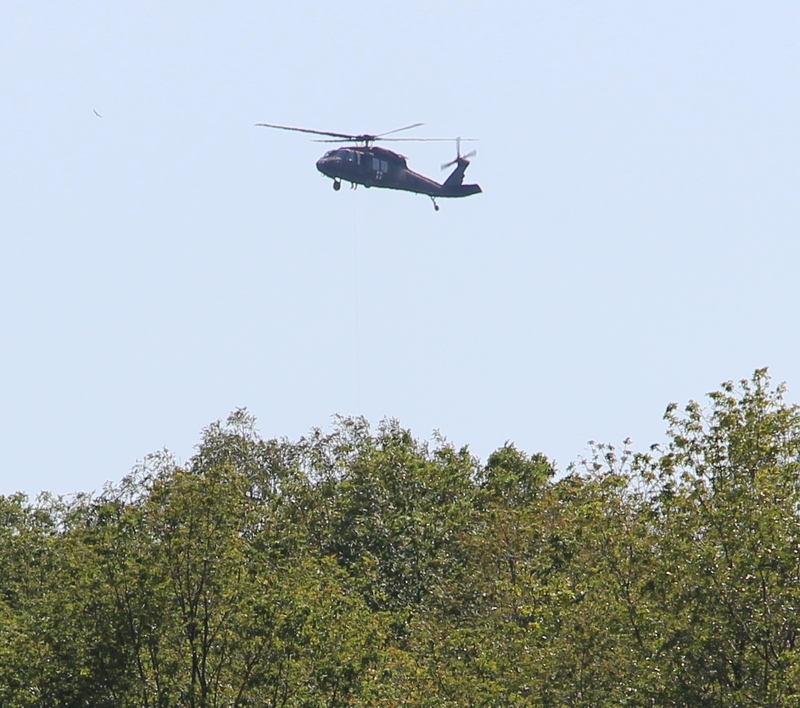 It hovered there for over 10 minutes and appeared to be lowering and/or raising a person or equipment to and from the helicopter. 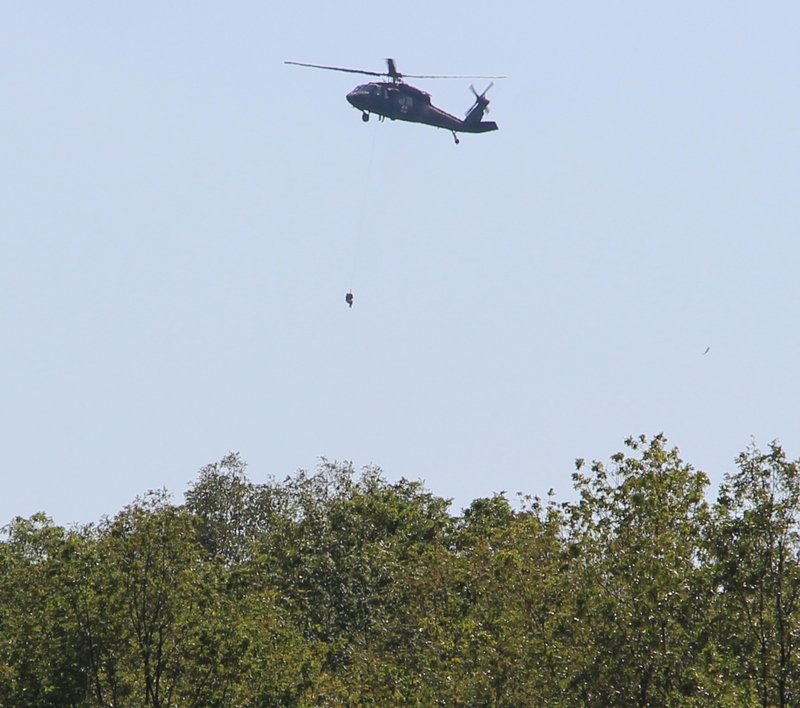 Information from a firefighter stated the equipment being dropped was camera on a 200-foot cord reel. 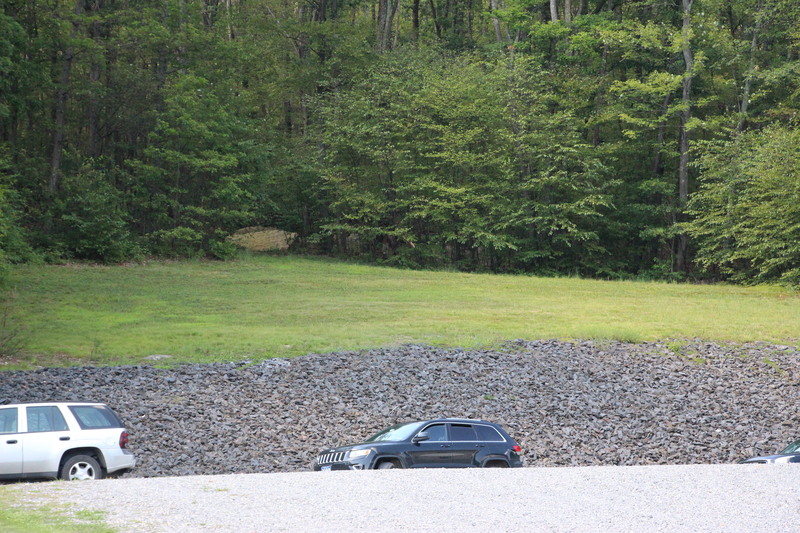 It was used to check a mineshaft. 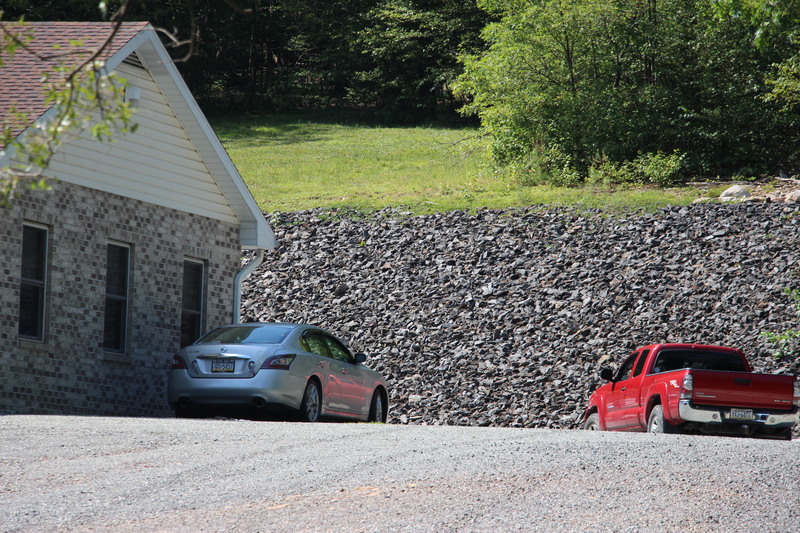 Volunteers with Pocono Search and Rescue and Northeast Search and Rescue stated their dogs showed some activity around a deep subsidence hole or coal shaft in the area. 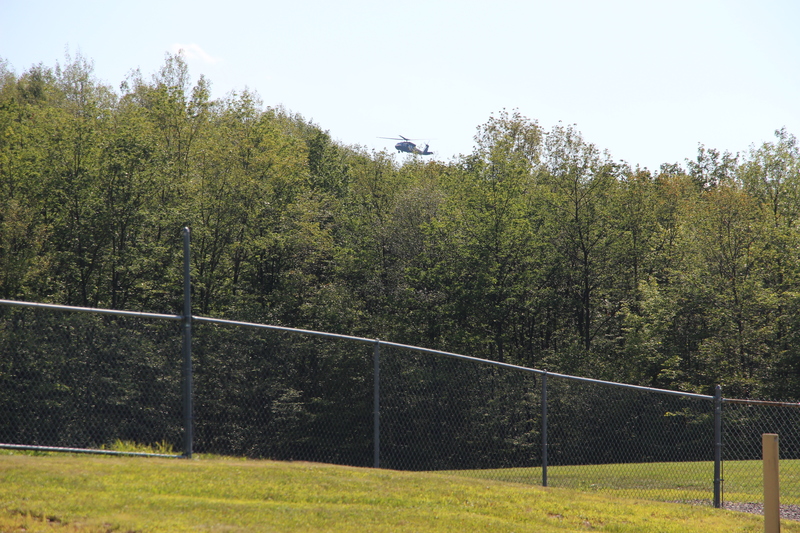 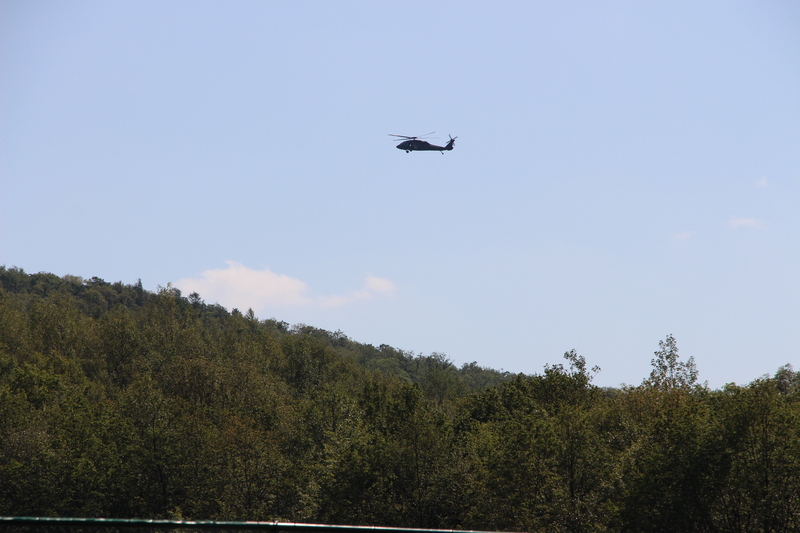 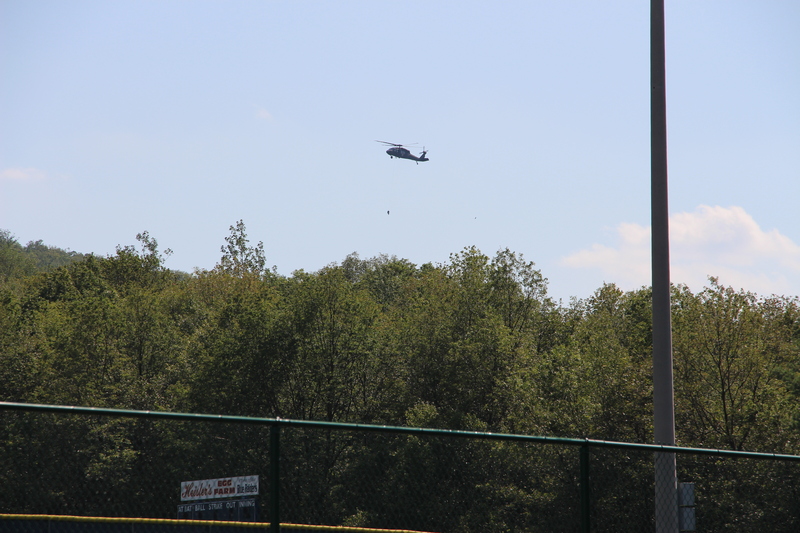 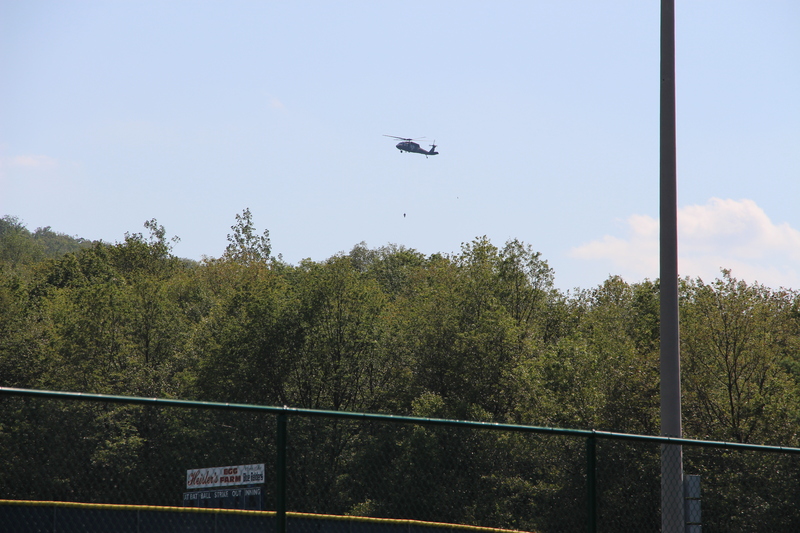 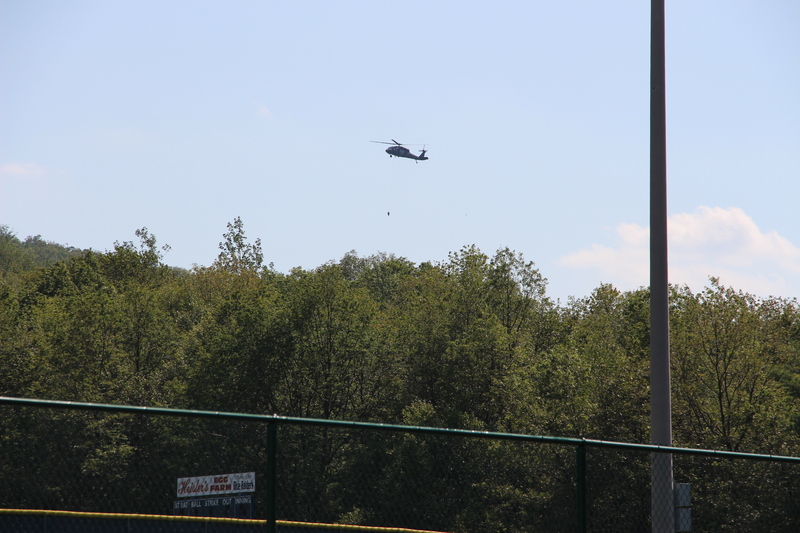 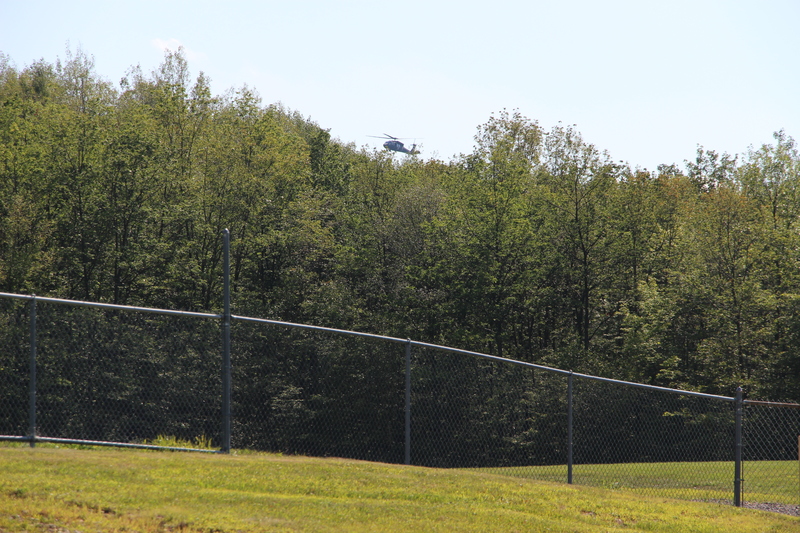 Yesterday, a Pennsylvania State Police helicopter was used to search on and around Sharp Mountain. 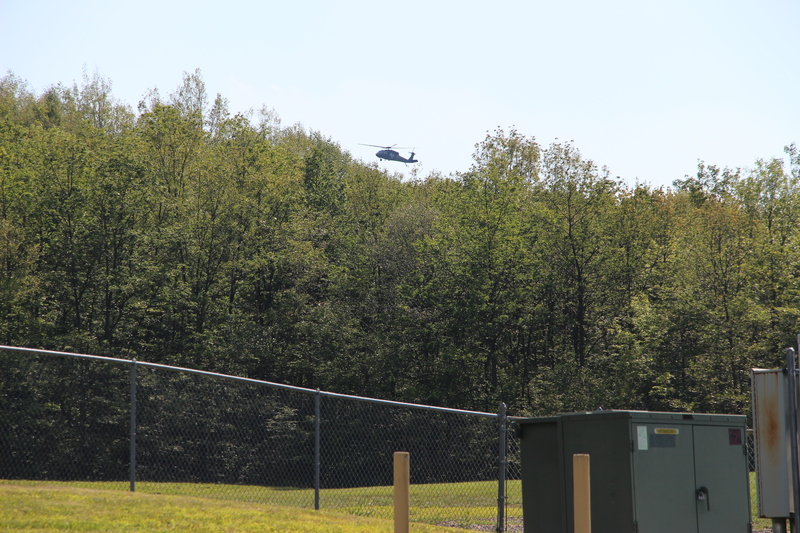 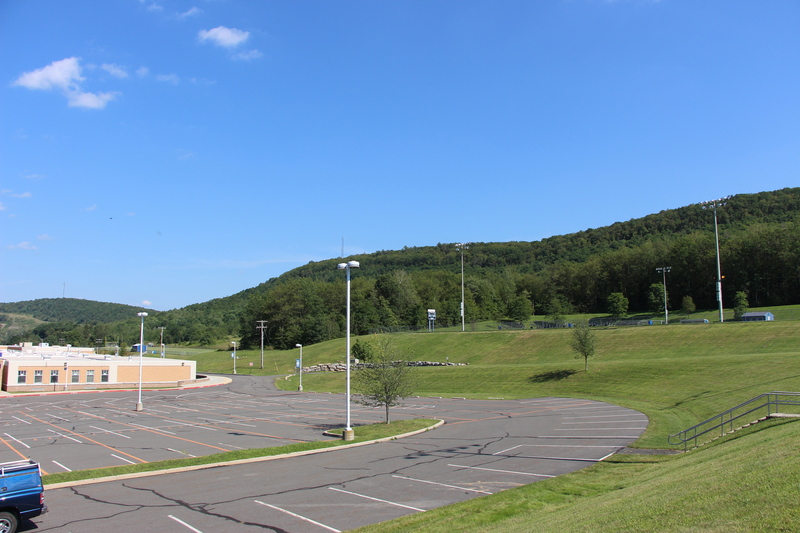 The helicopter could be seen picking up and/or dropping off equipment or personnel at a location located about a quarter mile southwest of the Tamaqua Middle School parking lot. 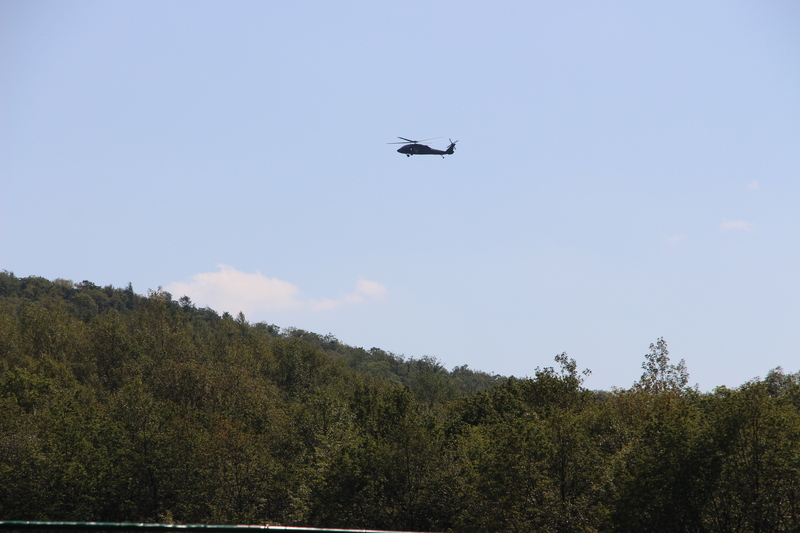 Unlike yesterday’s search (which included over 50 volunteers and officials), today’s search teams included the Pocono Search and Rescue, Northeast Search and Rescue, family members, and a small number of firefighters and community members. 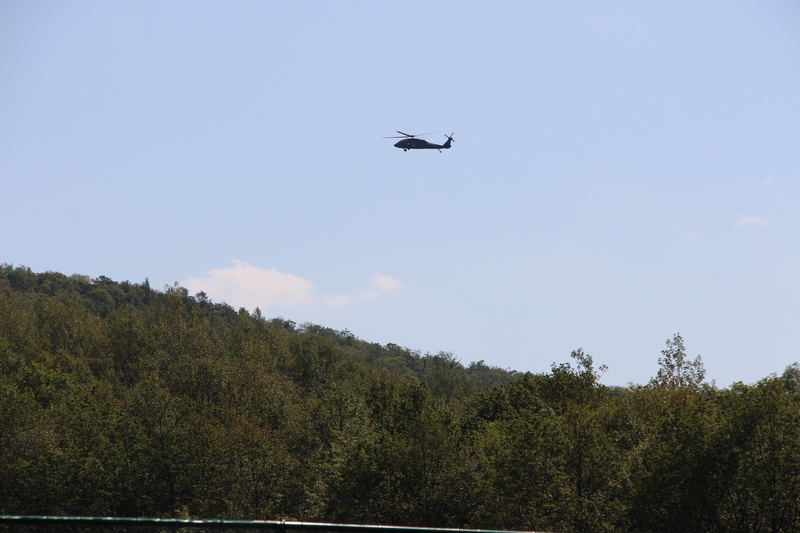 Although not officially confirmed, firefighters and family members of Jesse anticipate to search the mountains again tomorrow (Saturday). 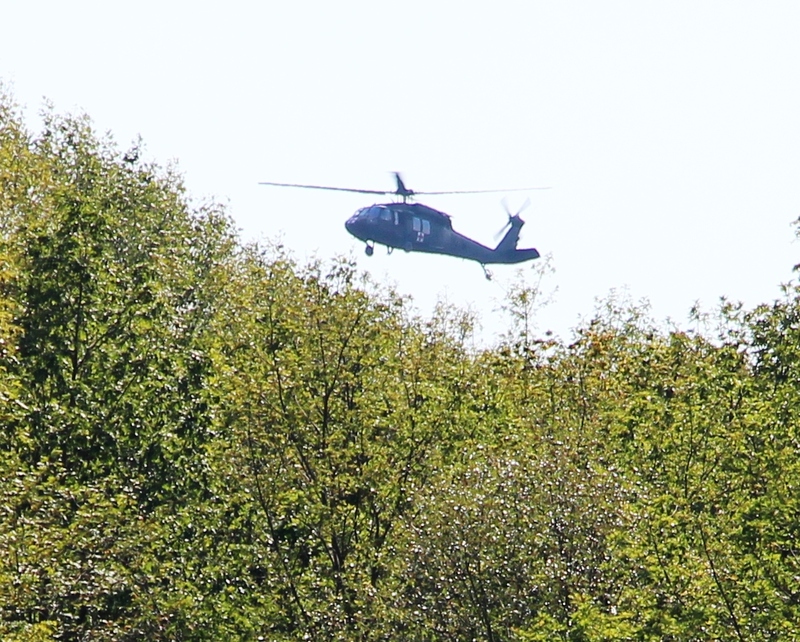 Yesterday’s search was suspended for a day in order for police, family members, search teams and volunteers to try to pinpoint a more accurate location. 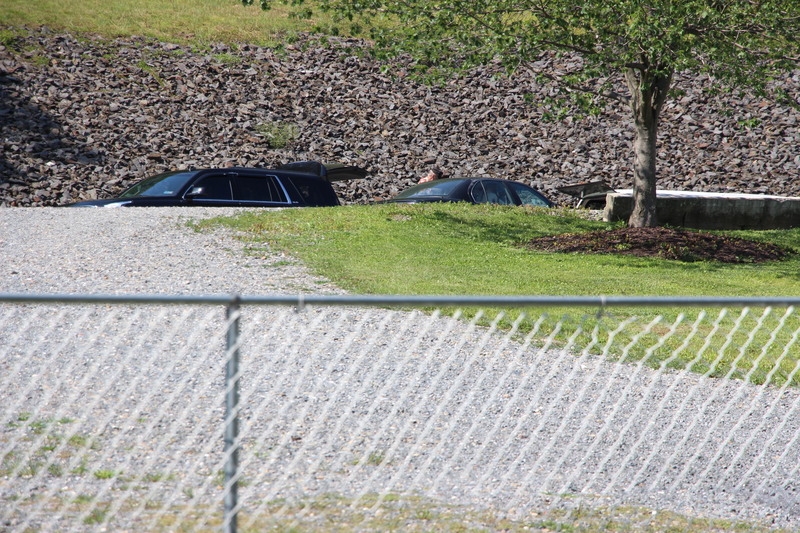 In addition, family members of Jesse could be seen passing out flyers in hopes someone sees or recognizes him. 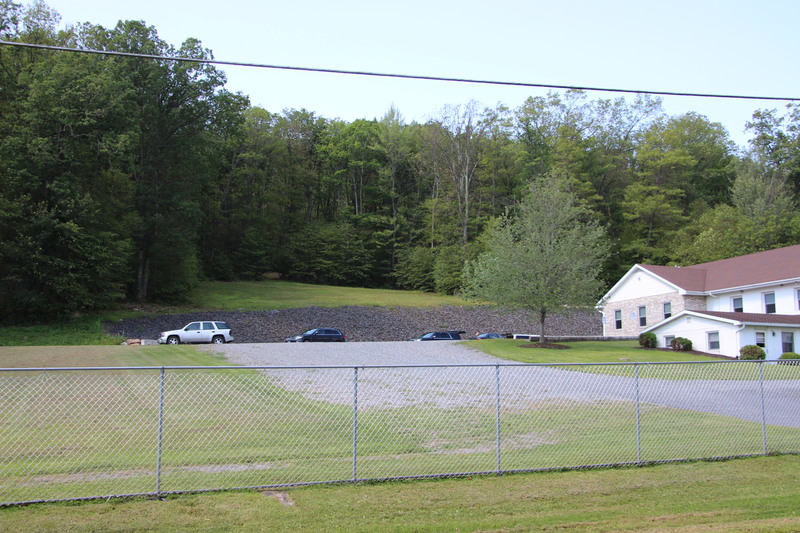 Some of Jesse’s family members believe he was hiking over the mountain to visit with his grandmother, Rae Ferryman, who lives in New England Valley, north of New Ringgold. 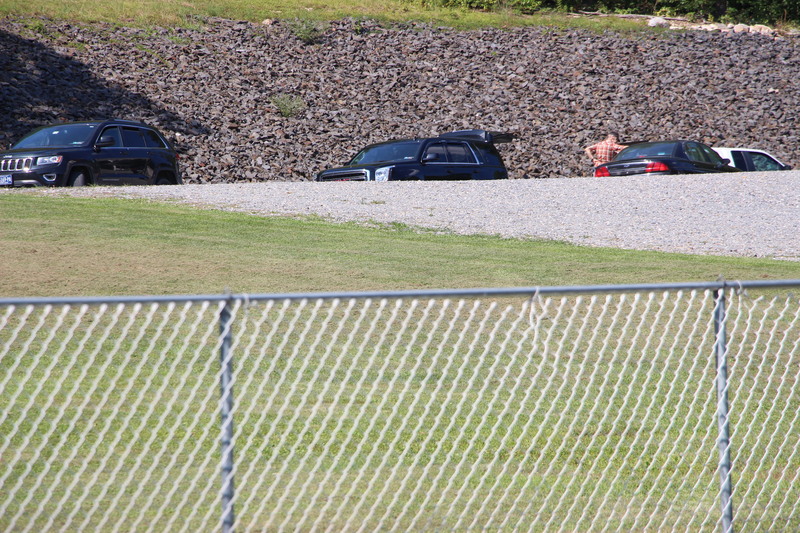 They mentioned that Jesse is very familiar with the mountain. 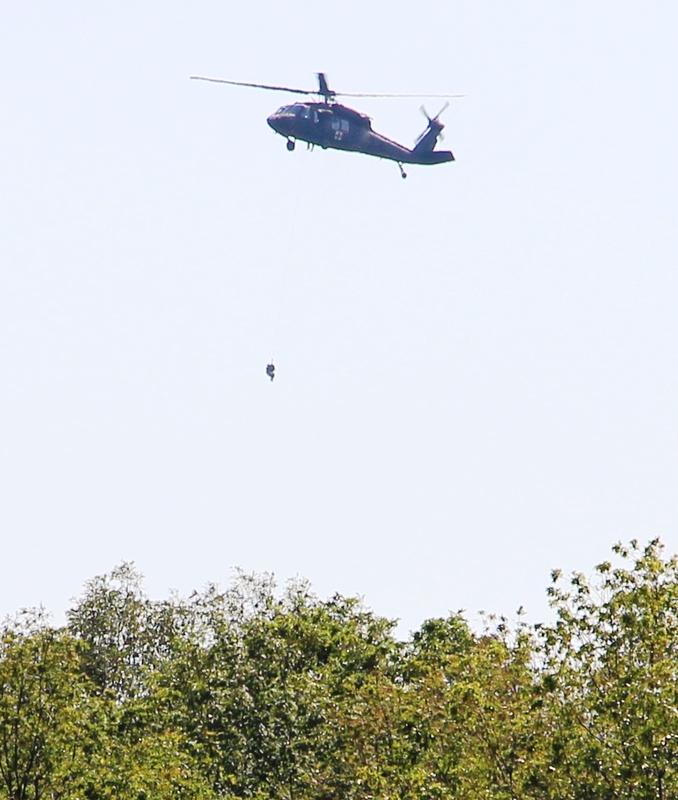 Search parties had located a backpack yesterday, although it didn’t match the one he normally carried. 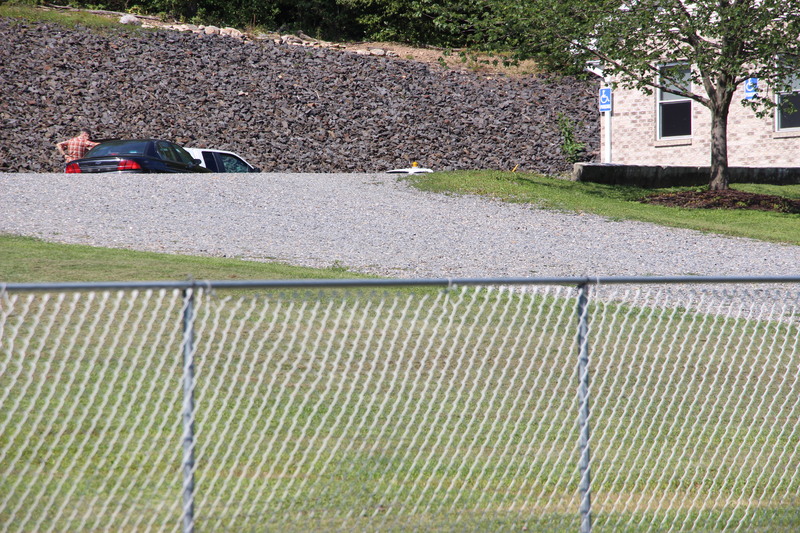 Jesse is 5′ 6″ tall and weighs about 130 pounds. 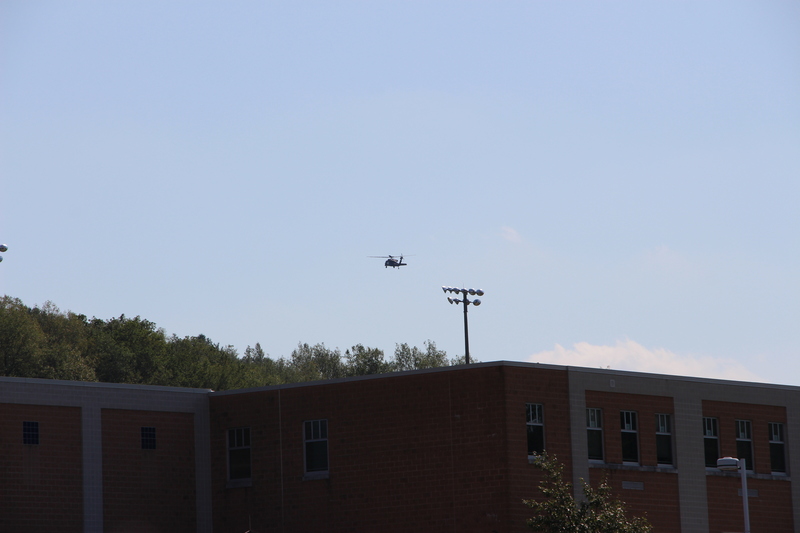 He was last seen wearing a black hoodie and possibly carrying a camo-style backpack. 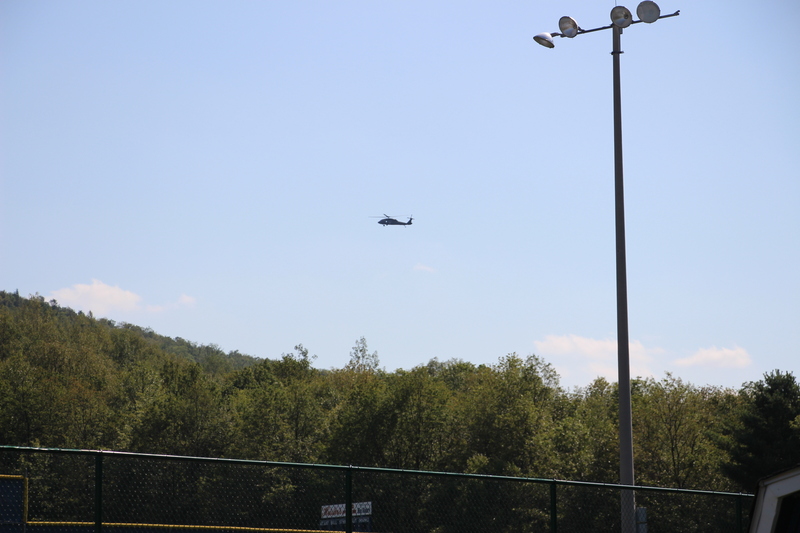 If you see him or know of his whereabouts, call Tamaqua Police at 570-668-5000. 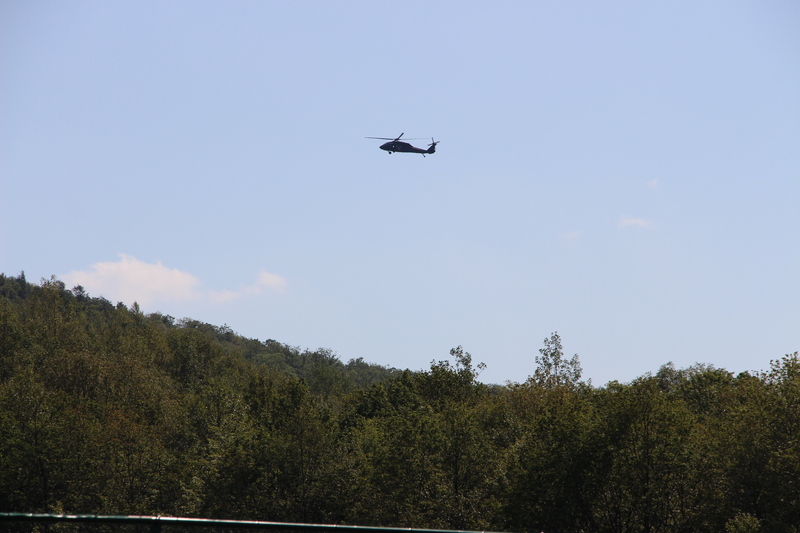 A news tip to TamaquaArea.com from Brandon Scull stated that the helicopter landed at the Jake Arner Memorial Airport early Friday evening. 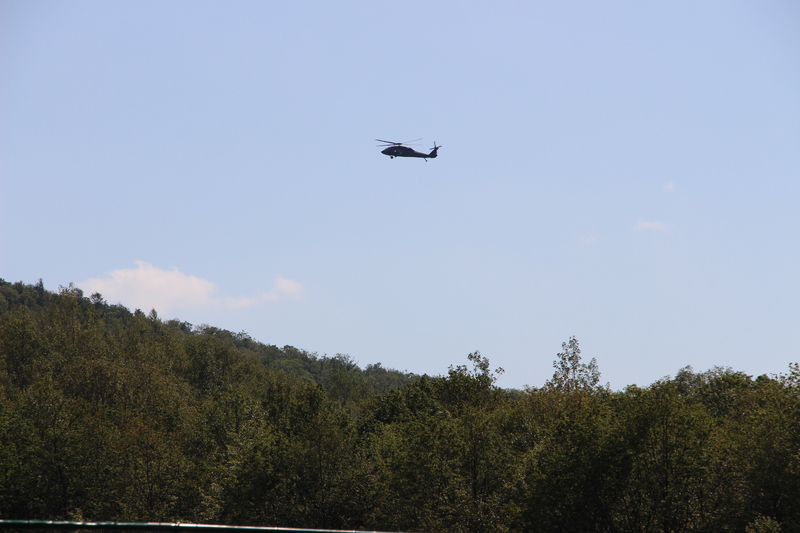 It is unknown if it is still there or if it returned to Indiantown Gap. 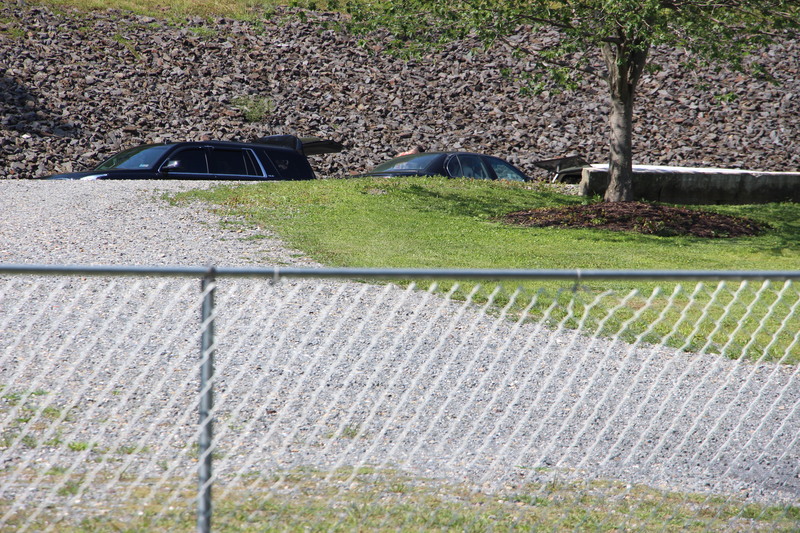 As of 11:55 PM on Friday, Jesse’s whereabouts are still unknown. 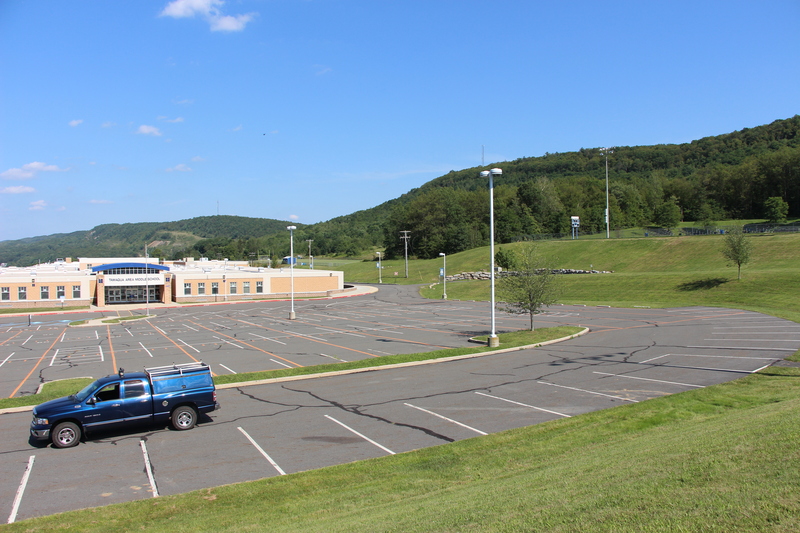 Click HERE for a related Times News story by Donald Serfass. 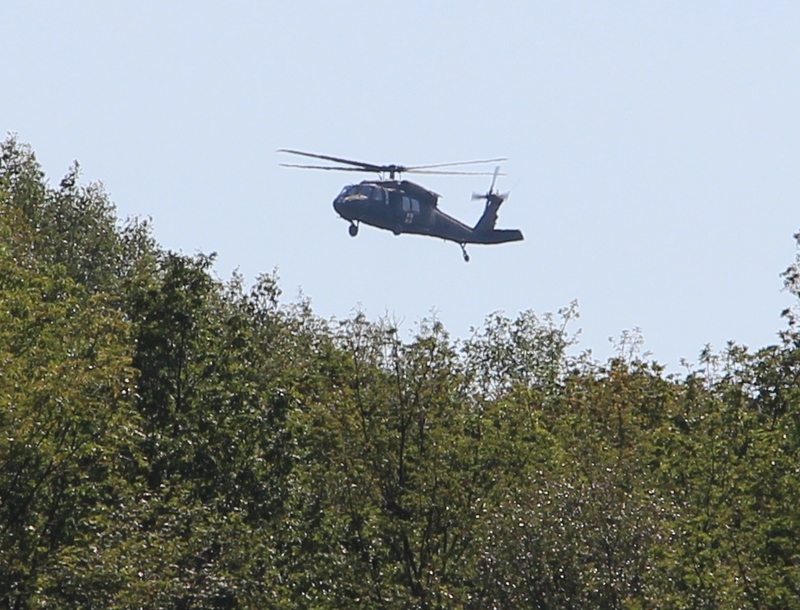 Click HERE to view yesterday’s TamaquaArea.com story.